Lindsay’s teachings have taken her all over the world. 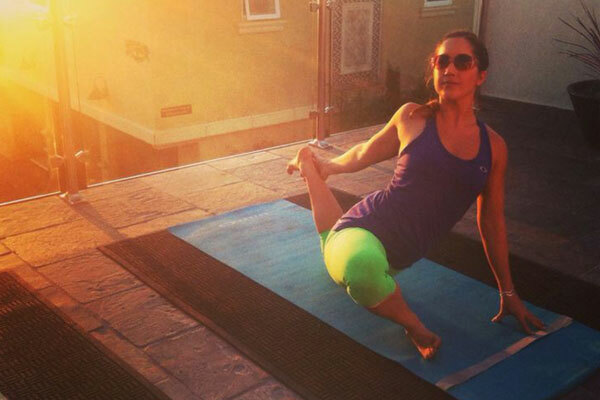 Her pairings of yoga and board sports have propelled her to international recognition. When not teaching, Lindsay spends her time surfing, skateboarding, stand-up paddle boarding, and hiking with her pup. She is also publishing her first e-book: The art of hands on assists, which will be available later this year. "Lindsay has an undeniable charismatic spirit: kind, fun and adventurous. When she’s not in the yoga studio she is out exploring Colorado and the rest of the world taking on adventures like paddleboard sports, surfing, hiking, skiing, road-tripping, camping and beyond. I vote Lindsay to win “Denver’s most cool yogi award”. There is one coming up, right?"